A logo is displayed on the Marcus by Goldman Sachs Group Inc. floor of the bank's headquarters in New York, U.S., on Tuesday, Nov. 22, 2016. Across Wall Street, banks are pushing into technology, either by directly investing in startups or by boosting their in-house technology expertise. For decades, you had to have at least $10 million for Goldman Sachs to manage your money. Now, the bank is preparing digital wealth management for the little guy. The firm is working on a digital wealth product, its first new offering under a Marcus brand that so far has had high-interest savings accounts and personal loans. 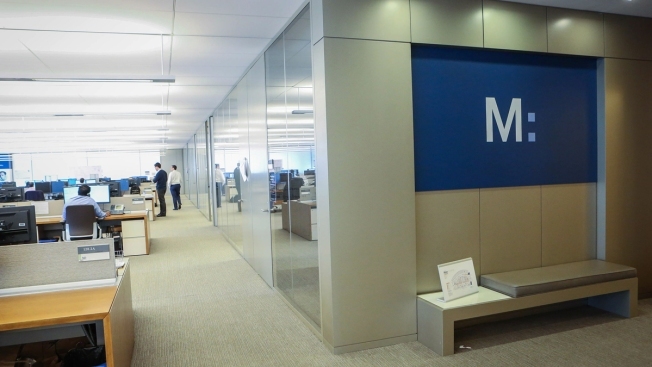 Ahead of that move, Goldman said Monday it was moving Marcus into its investment management division, home to businesses that manage wealth for the ultra wealthy (who average $50 million in holdings) and create mutual funds and ETFs. Goldman Sachs is broadening beyond the wealthy families, hedge funds and governments that have historically been its clients. In May, then-President David Solomon outlined his vision for the bank's retail finance arm, which could eventually offer wealth management, checking accounts, credit cards and mortgages. In two years, Marcus has swelled to $4 billion in loans and $29 billion in deposits by allowing ordinary consumers to earn better-than-average interest or consolidate credit-card debt. While the bank hasn't officially said what form the product will take, one option is a robo-advisor, according to people with knowledge of the plans. Most robo-advisors have low or no account minimums to start investing. Presumably, the company could offer mutual funds and ETFs created in-house through its digital channel. (Goldman already uses robo-advisor Betterment to distribute some of its smart-beta funds.) That was part of the rationale of moving Marcus into the investment management division, according to a statement from CEO Solomon, President John Waldron and incoming CFO Stephen Scherr. "We plan to launch a broader wealth management offering, combining Marcus' digital capabilities with the more established sales channels and products currently housed within the investment management division," the executives said in the release. The division is being renamed consumer and investment management, and Tim O'Neill and Eric Lane, the current co-heads of investment management, will run it. Harit Talwar, who joined Goldman in 2015 from Discover Financial, will run the digital finance business globally, while Omer Ismail will manage it in the Americas.